Survey Junkie is one of the very few 'essential' apps you can use if you are serious with making money with your opinions and using a few minutes of your time. You can sign up for an account in less than 5 seconds. If you ever Googled something along the lines of “ways to make money fast“, “side hustle”, “ways to make money online”, “best-paid surveys”, and others, you'll find that in each of those results is Survey Junkie. Do you ever wonder if it is legit or not? I was skeptical, at first, to try it just because there are a lot of scam survey sites out there. But I went ahead and tried it anyway. 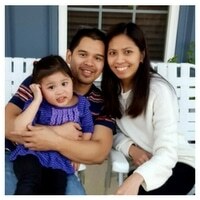 A couple of years ago, I was the only one working for my family, and my wife and baby stayed home. I was earning $50,000/year and living near D.C – one of the most expensive cities in the world. Struggle is the right word to depict what we were going through back then. It was survey sites that helped us make money. Sure, we were doubtful, at first, based on the bad reviews we read and heard about survey sites. But we had to try ourselves because we needed extra money. So, we did. Sites after sites, and month after month, we took surveys to make money. Some were straight garbage. But some were gems. Three months after we found the perfect sites for us, we started making $200 to $300 a month. Few of the survey sites that we used that really stood out were Survey Junkie and Survey Club. We use them up to now. I know you got to this post because you're looking for a way to make extra money. Or to see if Survey Junkie is legit. That's exactly what my felt and had to go through when we were looking for the right survey sites. This review will answer all your questions. At the end of this post, you'll see if this one is for you or not. I'm not going to sugarcoat this review because I don't want to mislead you. This post is here to inform and help you make the right decision. If you are wanting to see if Survey Junkie is for you or not, continue reading. Survey Junkie is one of the long-time running online survey sites. It was founded in Glendale, California. It is an online market research platform of Active Measure, formerly known as Blue Media Ventures. Currently, Survey Junkie has over 3 million members who share their honest thoughts and opinions about big brands in order to make the company’s products and services more profitable. Rating wise, Better Business Bureau awarded Blue Media Ventures with A+ rating. Like most survey sites, signing up with Survey Junkie is FREE. You should be at least 13 years old or older and currently residing in Australia, Canada, or the United States. Once sign up is completed, you will need to create a profile and provide some personal information about yourself. You can use your Facebook account to sign up. I tried it and it took me less than 5 seconds to sign up for one. It’s that easy. Remember, completing the personal information questionnaire doesn’t automatically allow you to participate in all surveys or panels. Once this part is completed, you are now able to start sharing your thoughts and opinions and earn money as you take the surveys. You can choose from a list of surveys or panels you can take. You can earn points for every survey completed. The amount you can earn from completing surveys is between $2 to $75. Once you earned 1,000 points, you can start redeeming your points to cash via PayPal (be sure you get your PayPal account ready) or Dwolla or you can convert your points to free gift cards such as Amazon and Target. 1,000 is equivalent to $10 (real money). Tia, a Survey Junkie taker, made over $600 in less than 10 days by spending a couple of minutes each day using Survey Junkie. Imagine that! Signing up is very easy and fast. You just have to supply your email address, birthday, gender, zip code, and enter your password. After signing up, you need to complete your profile. This includes answering 16 questions about yourself. You have the option of not having to answer some of these questions. Completing your profile will earn you an additional 50 points. That’s about a minimum of 115 points in total for you to possibly earn for just joining Survey Junkie. 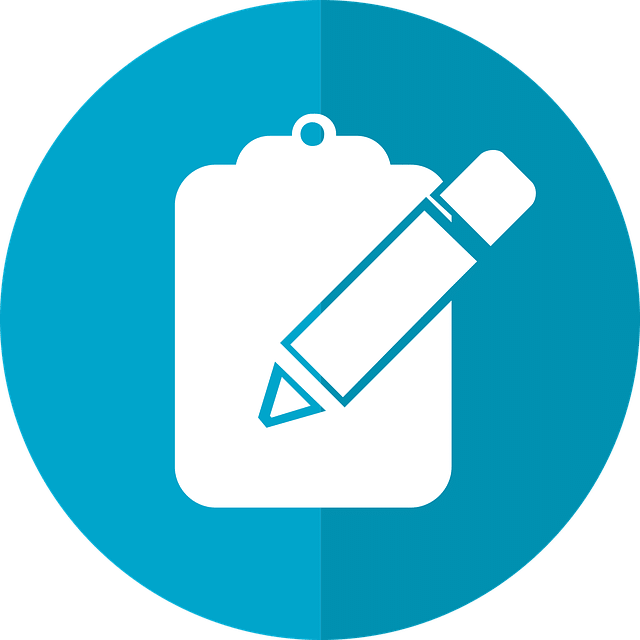 Since there is a wide array of surveys with different topics and target markets, the profile surveys help Survey Junkie know you better and match you to higher paying surveys that you are qualified to take. From the list of surveys, you will see how many points you can possibly earn for each survey and how long it will take you to answer the survey. Indeed, there are instances where you will start answering a survey and eventually don’t qualify. I know, what a bummer. But that’s common to all other survey platforms out there. What separates it from the rest is that most of the time, you already get disqualified after answering just a few questions and not the entire survey like some other online survey sites. Plus, you will also earn a part of the total points for that survey for your effort. Still, few points are better than no points at all, to be honest. In short, you still get paid even when you get disqualified. Only a few sites can say that. Lastly, Survey Junkie sends you email notifications regularly advising you when there is an available survey for you to answer. You have to be quick to do it because these surveys are filled out pretty fast. So, even if you have an email notification, it is not on a reserved basis, but rather, on a first come, first served basis. As I’ve mentioned earlier, Survey Junkie lets you earn points instead of earning cash directly. For every completed and not qualified surveys you take, you earn a certain number of points from each survey. There are also rewardable actions that you can earn points from. Rewardable actions are identifiable by a number of points being displayed inside a green button. You can check your current points on your user dashboard. The dashboard will also show you your lifetime points. Clicking “My Points” from the drop-down menu will show you your points history. Lifetime points are the total accumulated points over the duration of your membership with Survey Junkie and Current Points is the total accumulated points that you haven’t redeemed yet. Your points will not expire. But you have to remember that you need to log in and complete a survey within a 12-month period. Otherwise, all your points will be forfeited and your account closed. If you're looking for a Survey Junkie review on how to make money, this is it. For every 100 accumulated points, earns you $1. In order for you to start cashing out, you need to have at least $10 or 1,000 points in your account. Looks scary but it really isn’t. I’ve recently taken 2 surveys and those made me 1,500 points combined. In less than 20 minutes, I made $15. Not bad for just touching your phone and answering simple, basic questions. Survey Junkie also features one of the lowest thresholds for accumulated points or amount you need to earn before you can start cashing out. Other survey sites will require you to earn at least $20 or $25 before redeeming your points. You can start to redeem your points from the “My Points” menu or “Current Points” from the dashboard. If you're looking for a full time gig, this is not it. You can spend an excessive amount of time, unfortunately, this survey site won't make you rich. Converting your points to PayPal is available to Australia, Canada, or United States residents. For free gift cards and direct bank transfer from Dwolla, this option is only available for members who are residing in the US. Once you know what conversion method you want, you will be asked to provide an email address where you want to your reward to be sent. If you provide a new email address, an email confirmation will be sent to you first before you can receive your reward. This is to ensure that your reward will be delivered to you and not to the wrong person. You will not be able to redeem all your points for free gift cards. That said, you can redeem your points for gift cards for specific denominations. The available denominations for the free gift cards are $10, $15, $20, $25, and more. When you choose to cash out your points, you will be required to redeem all your current points. For example, if you have a total of $23 in your account, you must redeem all the $23. If you want to have a part of your points converted to gift card then you must redeem the gift card first before cashing out with PayPal. This is probably the most important part of this review and the only part that matters to everyone. I’m kidding! You might probably ask yourself if quitting your day job and just answer surveys all day long will earn you enough money to get by. The answer is NO. While Survey Junkie will not make you rich by just answering surveys, it does give you an extra cash opportunity for your spare time. Even in Survey Junkie’s website, it is clearly indicated that “You will NOT get rich by taking surveys.”. The points you can possibly earn differs with another person. How much money you can possibly make out of Survey Junkie depends on you and your commitment to answering these surveys. Each completed survey earns you a different amount of points. The thought is supposed to be the longer the survey is, the more points you’ll get after completing it. The amount you can potentially earn from completing surveys is between $2 to $75. Tia, a Survey Junkie taker, made over $600 in less than 10 days by spending a couple of minutes each day using Survey Junkie. Best, more people have earned more than that. In short, her experience with Survey Junkie is not an unusual case. The amount of money you can possibly earn is also dependent on what surveys you are qualified to answer and how many surveys you are invited to. New surveys are available every day. Survey Junkie will send an email notification to you once a survey is available for you to answer or you can log back in the website to check. You can take the surveys anytime and anywhere as long as you’re connected to the internet. Survey Junkie highly recommends you answer surveys using your desktop or laptop. But, it is still possible to answer the online surveys using your smartphone. The surveys are very easy and all you have to do is answer each survey truthfully. Easy money, right? It is a legit online survey site. The potential of how much money you can earn mainly depends on how active you are in taking online surveys. Survey Junkie is user-friendly. It is very easy to use. The website’s design is simple and uncomplicated. Using the website doesn’t require a tech-savvy individual. Sign up process is fast, simple and efficient. You get to see a preview – how much you can potentially earn and how long you will need to answer the survey – before you actually answer the survey itself. What you see is what you get. You get to earn a few points even if you started answering a survey and gets disqualified later on. 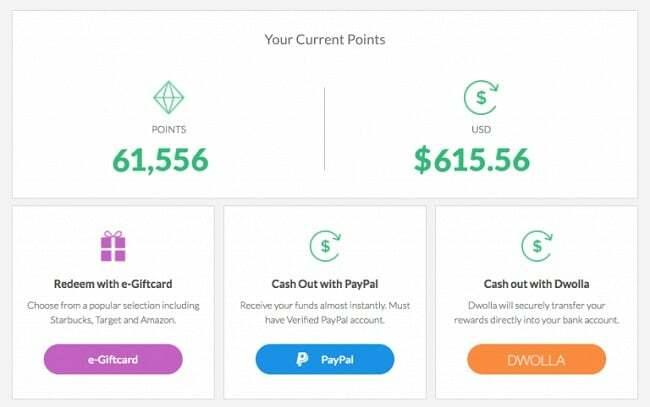 Compared to other survey sites where it only offers you the option to redeem your points for a gift card or check, Survey Junkie offers you to convert your points for cash through PayPal. The points system is very simple and pretty much straightforward. Converting your points to $$$ doesn’t require you to have mad math skills. Converting your points is very easy, that is, $1 for every 100 points. Survey Junkie has one of the lowest thresholds for converting your points to cash. Earn at least 1,000 points and you’re all set to redeem your points. Survey Junkie’s Help Center is your one stop place for all possible questions you can think of related to Survey Junkie. Topics and related questions to the topic are all grouped together for easier reference. You just have to browse through a certain topic at the left tab and all related questions will be displayed and answered on the right. Survey Junkie remains true to its name. People may find the name awkward but I think it has lived up to the expectation. Unlike other survey sites that branched out its platform to other point earning options like watching videos, reading emails, browsing the web, for you to earn more money, Survey Junkie only lets you earn money mainly on answering surveys. Not all systems are perfect. There will always be a downside to everything. While knowing the good side is always more enticing. You should also know and understand the downside to it so you will have a clear picture of what you can and cannot expect. Be it good or bad. You cannot join Survey Junkie if you are residing out of Australia, Canada, United States. This survey site only accepts members residing within these countries. Don’t worry, there are still other legit online survey sites that you can choose from. Every survey begins with basic questions and based on your answers, it’s possible for you to be disqualified to answer the survey. While you still will earn a few points, the mere fact that you get to be disqualified during the survey is a bummer. The surveys being offered, sometimes, fills out fast. So, if you’re unable to respond and answer the survey invitation quickly, you’ll lose the opportunity of potentially earning points from it. By now, you're probably asking if Survey Junkie is for you and worth your time. Every person's experience and the money he/she makes is different from other people. While some may make hundreds, some may make a few dollars here and there. Survey Junkie won't make you rich. That said, it could help you make hundreds of dollars every month. The only way to know how much you could make is by trying it. If you are looking for an easy way to make money online, Survey Junkie is one of those ways. One thing I know is for you, Survey Junkie is worth a look as you can easily sign up for one in under 5 seconds.